I was exactly the target market for this game when it came out, yet somehow it completely missed me. We must have rented it at some point, but I’m mostly bummed I never got to play it back when it was still technically impressive. When the 3DS remaster came out in 2011 I put in an honest effort to make my way through it, but just couldn’t do it. I loved Wind Waker all the way up until the final 1/4 with the protracted Triforce fetch quest. At some point I must have hit a wall and just figured it wasn’t worth it anymore. Played it straight through and absolutely loved it. Some of the changes they made to quest structure and sailing around were 100% necessary. Really enjoyed this one but eventually sort of fell off about 2/3rds of the way through. I should probably get back to it at some point. I picked up an awesome backlit original Game Boy Advance , and started playing through Minish Cap. 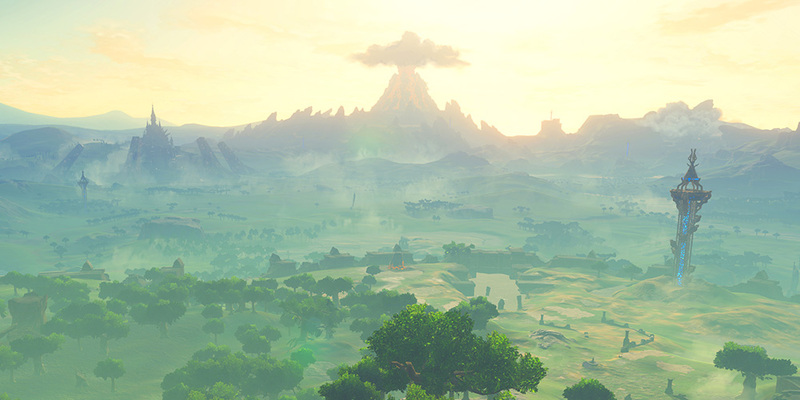 It was generally pretty enjoyable, despite some of the usual trappings of a Zelda game. I think I made it about halfway through before diving back into one of the Catlevanias. Over the last 10 years or so, open world games have sort of bloomed into a weird genre of their own. The GTAs of the world present you with a [basically] open world where you can go and do whatever you want, whenever you want. Many games started to emulate this structure, and design tropes started to set in. Alright so maybe I have a chip on my shoulder, but I’ve definitely gotten tired of this style of game. Far Cry 3 was pretty good, but most of the recent open world games have been largely boring (Assassins Creed, Watch_Dogs (sorta), other Far Crys, Dragon Age: Inquisition, etc). I’ve learned that I just don’t really get any enjoyment walking around checking off pointless quests just to do it. One exception is The Witcher 3, which was mostly exceptional. Anyway, Breath of the Wild took a lot of those tropes and turned them in interesting ways. The whole world actually felt like it was worth exploring. I spent about 75 hours total in that game, primarily just climbing and walking around looking at stuff. The whole thing just oozes a level of craft you don’t normally see in games. My only problem is that now that I’ve done all 120 shrines, I don’t really have much of a reason to go back to it. I mean theres no way in hell I’m going to find all 900 Korok seeds.